Toxic Fandom - How Do You Own Disorder? So, not that long ago, I ended up getting into one of those fan arguments, who was claiming that the new Trek Series ignores scientific accuracy for the sake of telling a story, which is why it is such a horrible, horrible show. 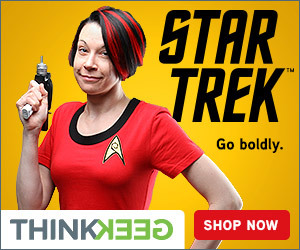 I point out that Star Trek never went for realistic science; they just wanted their ‘science’ to sound realistic. Of course, the back and forth ensues, and after I list so many examples of absolutely ridiculous plot contrivances in that ‘scientifically accurate’ show, they grew exasperated and said: “that’s just a creative liberty…they can do that for the sake of plot, and it’s OK!” Except, for some reason, when Discovery does that, it is an unforgivable flaw in the show, and why it is ‘Not Star Trek’. Then I realized that that wasn’t a conversation I had….it was several. And after a while, the negativity, the vitriol, the hate, the petty pointless justification all just sort of blurs together, as if I were arguing with some mindless mass of angry, brain-dead zombies desiring nothing but the tearing down of civilization as we know it until all are just as twisted and vile as they are. 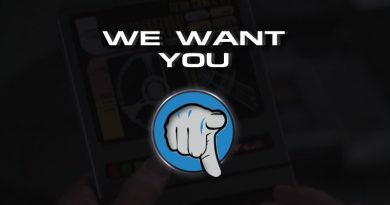 As luck would have it, our editor then comes to me and says, “can you do a piece on the toxicity of the fanbase?” so, I dove right in to various forums, video comment feeds, Facebook posts, and wallowed around in the cesspool of humanity that represents the lessons learned from Star Trek….not the lessons Trek meant to teach them, but what they chose to learn from it. Somehow, that Utopian dream Roddenberry envisioned has become an Orwellian Dystopia. And no, I’m not talking about Discovery making changes to the federation; I am talking about how the fanbase itself has changed: “and they looked from man to pig, and pig to man, but it was impossible to say which was which.” The very things that star trek tries to teach us about being ignored, or twisted into some perverse rendition that corrupts the soul of Star Trek. I have seen fans who, in the same comment, will say ‘star trek teaches us that bigotry and racism are wrong’ and ‘if you are a bigot or racist, you don’t deserve to be here, and will be kicked out.’ So, the very people who need the lesson most are the ones who are to be denied hearing it…leaving only the ‘pure’ fans who don’t need to be taught that bigotry is bad because they are not bigots…Star Trek has ceased to be an allegorical message that humans can improve and fix the issues that plague us, and has instead become a self-congratulatory circle jerk of ‘our point of view is better than yours’, which leads to displays of intolerance and hate that are the exact reason why bigotry is wrong. Diversity is also frowned upon…change too much, show something too different from the homogenous mass that all looks alike and thinks alike, and what you are doing is presenting heresy to the purity of trek….diversity is only for those who are like us, apparently. Should we mention ‘canon’, that religious concept that has somehow taken precedence over the message that trek was meant to show us? Adherence to dogma, to not showing anything new or unusual if it has not yet been mentioned, because the universe must be orderly, and those who do not fit the Order of Things must be purged, and destroyed, for they are impure, and heretical, and unholy, and will contaminate the Sacred trek by making it appeals to all people, and not just those who are ‘worthy’. What we’re seeing is a parallel to what happened with the right-wing political factions in America. Something that was reasonable, perhaps not what you agree with, but still understandable, gets pushed into farther and farther extremes, until it turns into some kind of bizarre, neo-nazi, militant, insane racist group aimed at destroying all that diversity stands for: we call that the ‘alt-right’, to differentiate it from normal right wingers who just have different priorities on some social or economic issues, but can be compromised with to find a solution that is as ideal as possible for as many as possible. In fandom, especially today, with the internet giving everyone an equal voice, these alt-fans are on the rise. They may be only a small minority, but there is no power structure when it comes to fandom; no hierarchy, no system, no rules that could prevent such insanity from growing and spreading. Fandom was originally just a bunch of folks who like the same thing, and hang out to watch the same thing and talk about the same thing and have fun. It lost that, somewhere along the line. The alt-fans are determined to show that not only does their voice matter more than others, but that they will take the franchise that so many people love, and it will either bend to their will or be destroyed. They do not want to hear that there are several million Trekkies on the planet; they want to build a wall to keep out the riffraff, so only those who are ‘smart’ or ‘tolerant’ or fit with their fanboy master race are allowed in, and the rest are sent away. 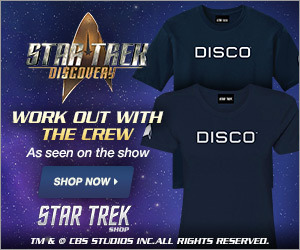 If they can’t keep fans away, then they will go after the studio, try to encourage piracy, or tell people to form watching parties so that one person pays and fifty people watch, not for the sake of bringing fans together for fellowship and camaraderie, but specifically to cause financial harm to CBS to ‘teach them to obey the fans’ or whatever. After I started writing this, started poking through forums to do research, things got weird. The new Star Wars movie came out, and folks over there went full Dark Side, and the ‘loyal’ fanbase of that Franchise in a galaxy far far away is trying to torch THAT franchise. Disney Bought Fox, meaning the MCU got a whole lot bigger, and that the Xenomorph Queen is now apparently a Disney Princess. Quentin Tarantino was announced as a strong contender to Direct the next Star Trek film. So, like the kids these days say, I can’t even right now. I’m not going to finish this one. It’s up to you. I want all of our readers—yes, all four of you—to comment below, share the craziest bit of hate you’ve seen from the alt-fans.